Turkish prosecutors are seeking 12-year jail sentences for Cumhuriyet’s website editor Oğuz Güven, according to the Diken news portal. 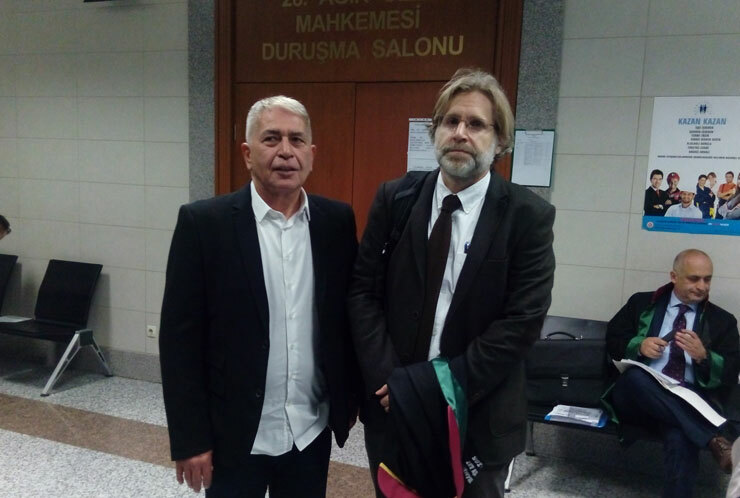 Oğuz Güven was put in pre-trial detention over a report that appeared on the Cumhuriyet daily’s website about the recent traffic death of Denizli Chief Prosecutor Mustafa Alper in Denizli province. Güven is accused of disseminating the propaganda of a terrorist organization. According to Turkish media reports, detention warrants were also issued for 32 readers who left comments under the relevant story. Cumhuriyet’s Editor-in-Chief Murat Sabuncu was in early November arrested along with eight other Cumhuriyet columnists and executives for allegedly committing crimes on behalf of the outlawed Kurdistan Workers’ Party (PKK) and the Turkey’s Gülen group, which the government accuses of masterminding a failed coup attempt on July 15.